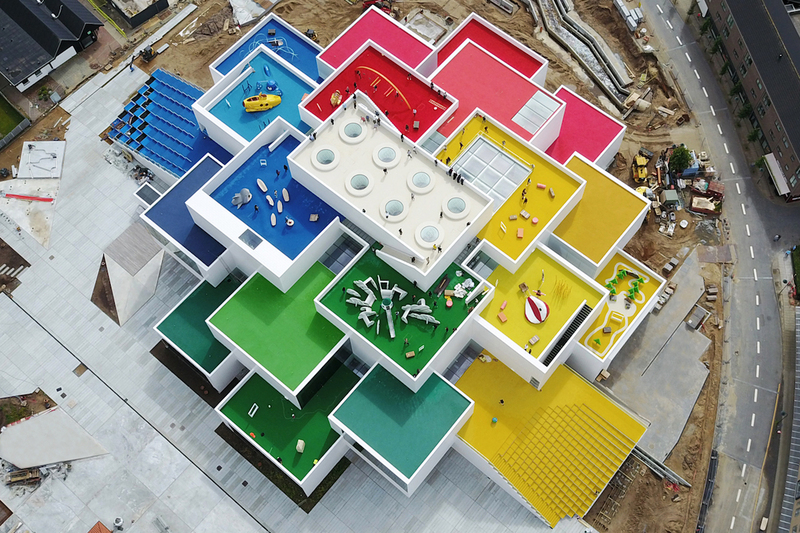 Playful designs, a larger-than-life persona, and media maneuvering have propelled the Danish architect to incredible heights. 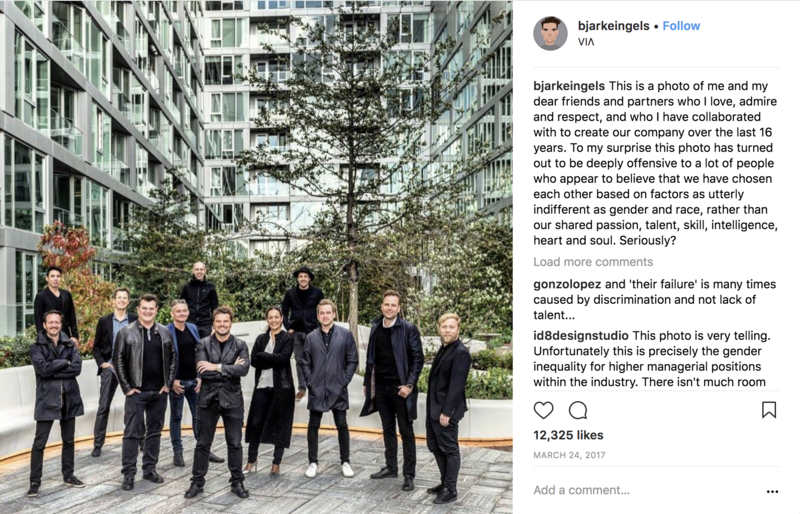 In an Instagram post from last fall, Bjarke Ingels holds a crystal orb as he goofily smirks at the camera, seemingly mesmerized by the object. 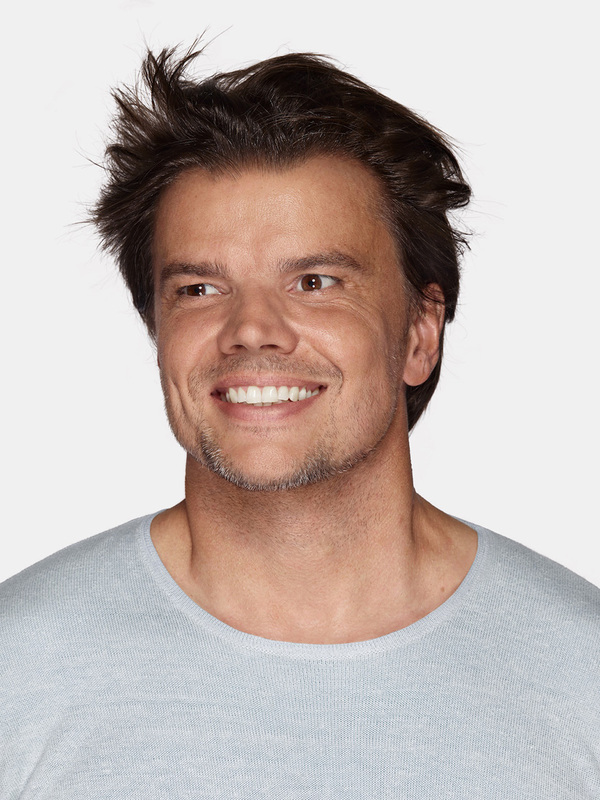 The caption reads “Planet in my palm.” It’s a coy statement, given the colossal success of the Danish-born architect’s firm, Bjarke Ingels Group (BIG), but it’s funny, too. Which is one of Ingels’s charms: Though serious, intellectual, and among the leading practitioners in the field today, he is also humorous, enjoys a pun, and is not necessarily one for subtleties (the domain name of his firm is, after all, big.dk). Contrary to the often stiff and rigid profession, he does not take himself too seriously. And, as a whole, his Instagram feed reflects this, serving as a snapshot of how his peripatetic, high-flying lifestyle—which begins to look like one big vacation—fuels his childlike curiosity, or vice versa. His personal account, not surprisingly, has drawn in more than 400,000 followers to date. That single video alone, captured in Dubai, was watched more than 100,000 times. Only 43 years old, Ingels has built an extensive empire—and a risk-taker reputation—in hyper-speed. His 13-year-old firm has 12 partners and roughly 500 employees, with offices in Copenhagen, New York City, and London. BIG currently has 50 projects in development, with 20 of them under construction, among them highly adaptable headquarters for Google in California and London (in collaboration with the British designer Thomas Heatherwick); a modular school for WeWork’s new educational enterprise, WeGrow; a boundary-pushing high-speed transportation system for Elon Musk’s Hyperloop One; and a sprawling, $2 billion campus master plan for the Smithsonian Institution in Washington, D.C. 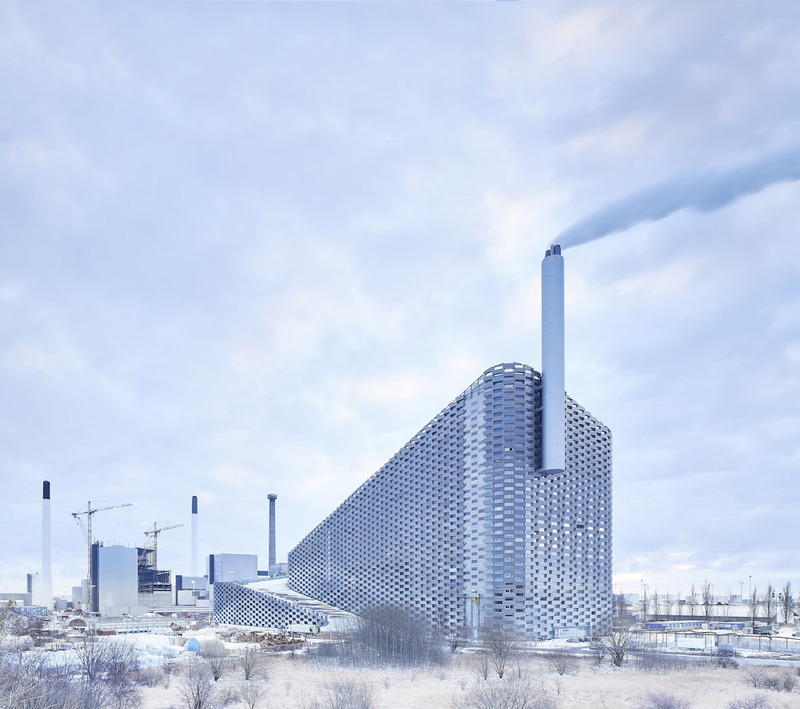 Some of BIG’s latest efforts, such as chef René Redzepi’s newly relocated and reopened Noma restaurant—an unusually subtle, sophisticated, detail-oriented project for BIG—and the beastly, brawny Amager Resource Center (or ARC) waste-to-energy plant, exemplify the firm’s vast and efficient operation today. 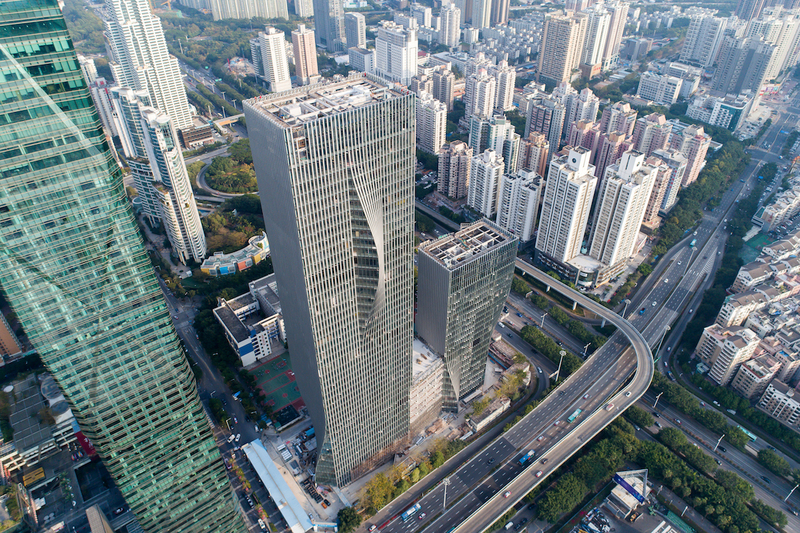 While several architects of similar notoriety have gained recognition largely through a signature touch (see: Frank Gehry’s sculptural sweeps, or Zaha Hadid’s sinuous curves), Ingels has constantly evolved from project to project, finding solutions to the varying demands of particular clients and sites without imposing his own aesthetic dogma. BIG has no single architectural “move” it repeats, though each of its buildings plays with strong, and sometimes even sensational, architectural statements. Most of BIG’s buildings are fetching, practically made to be photographed. 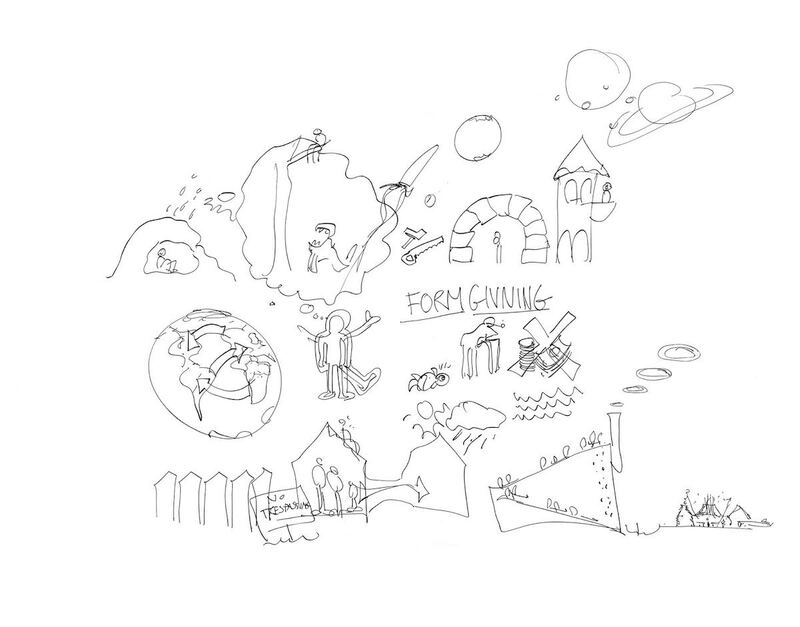 The firm’s unorthodox work—an intermingling of utopian visions and pragmatic solutions—is decidedly of and for the 21st century. Now in the world-leading territory of architectural juggernauts like OMA, Herzog & de Meuron, and Foster + Partners, BIG creates buildings that come with surprises, and that, more often than not, capture the imagination. Ingels has built a fawning global audience, one that reaches far beyond the ivory tower of architecture. 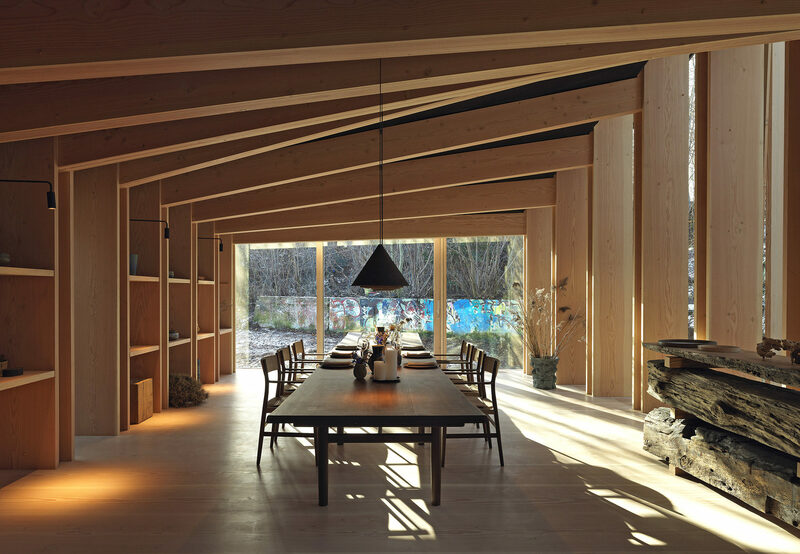 Both his splashy clients and the public—not to mention the media—have become entranced by his straight-to-the-point communication style, his good-naturedness and charisma, and his highly imaginative (and decidedly unfussy) approach to architecture. His ability to clearly explain his dreams has drawn in some of the wealthiest, most powerful people and companies on the planet to help him turn them into reality. And though his ideas may indeed be big and difficult to build, he has the tenaciousness, suaveness, and drive to see them through to the finish line. All of which helps illustrate his adroit skills in an area too often ignored by architects: seductive storytelling. It’s early March, and Torpe and I had just had lunch at Noma, where we ate things like trout roe with lightly cured egg yolks and pumpkin-seed oil, all arranged into a starfish shape, while looking out at a frozen pond and, beyond it, the near-finished, smoke-billowing ARC power station. 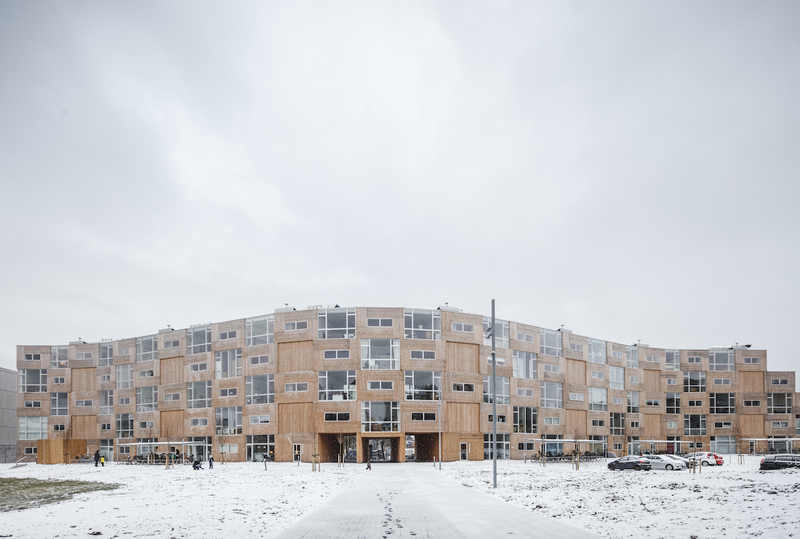 BIG seems to be omnipresent here, even though Ingels has completed only six projects in the city—four of them while running the firm PLOT with the architect Julien De Smedt. 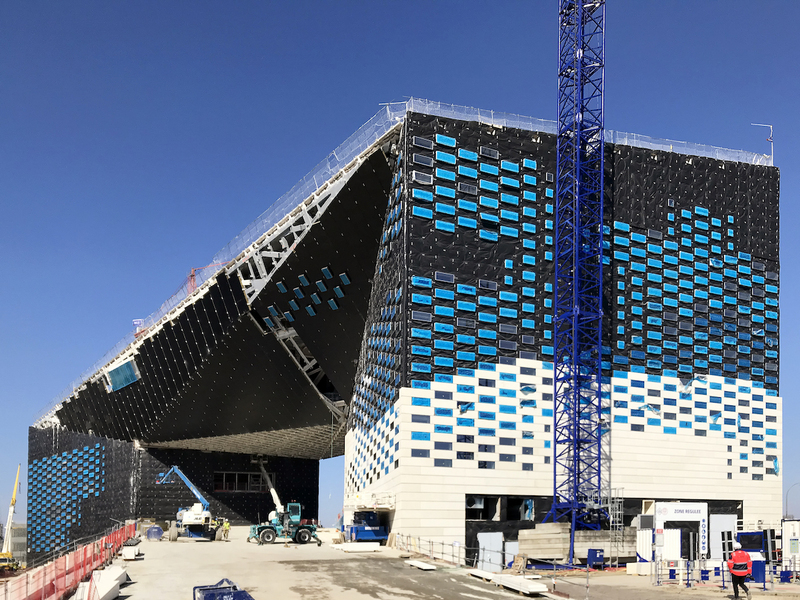 Scheduled to open this fall, ARC (or “Copenhill,” as the locals call it) is no ordinary facility: A tree-filled ski slope and hiking area, to be open year-round, will zag down its facade; one side of the building will feature a 278-foot-high artificial climbing wall. The design concept, as if pulled out of a sci-fi fantasy film, is the kind of thing that pretty much only Ingels could conceive of, and in turn convince a client to pay for. 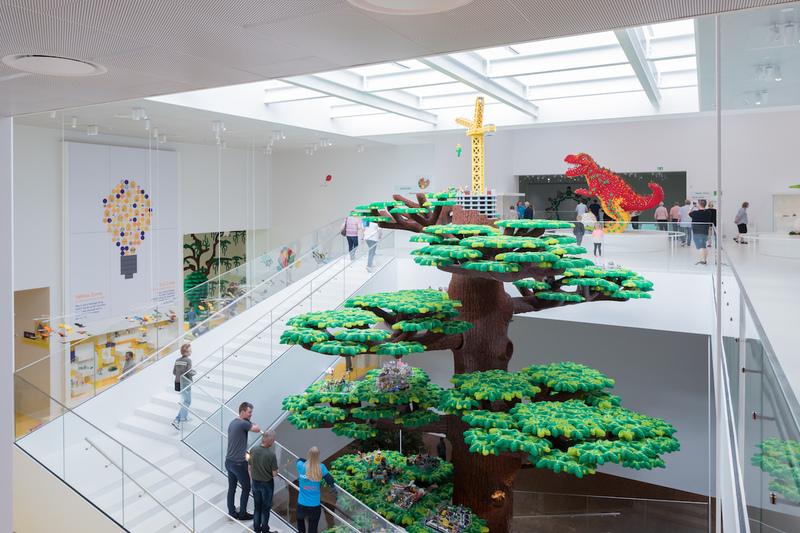 It’s also practically the opposite of Noma, a village-like cluster of single-story buildings, eight of them connected under a glass canopy—the result a sort of shrunken-down Danish version of Renzo Piano’s Morgan Library atrium in New York. 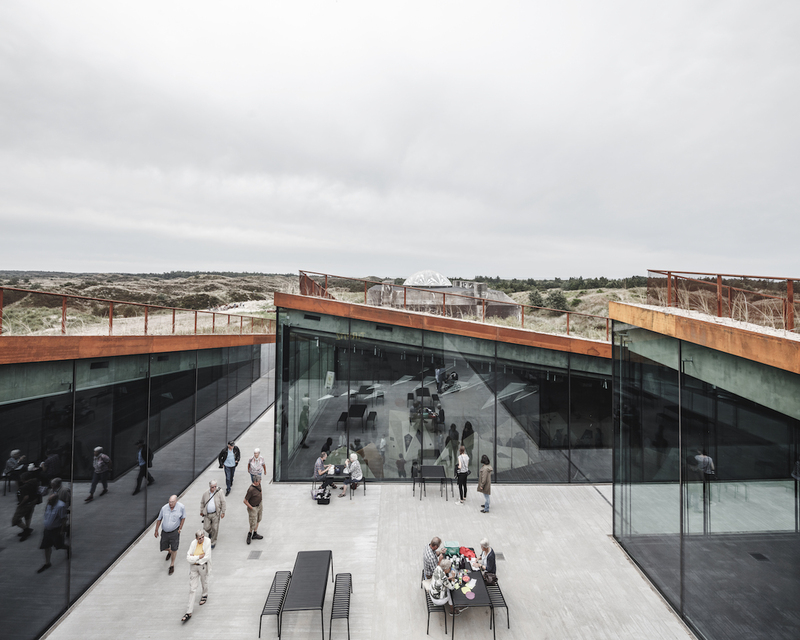 While contemporary in materials and approach, Noma is quiet and intimate, and references traditional local architecture inside and out; ARC is something else entirely, and unlike any other structure on the planet. Ingels’s communication style has also proven to be a boon for his internal practice and company culture. At BIG, he runs a hyper-collaborative, groupthink operation—one he calls “narrative design”—that allows various parties (and partners) to be a part of the process through clearly outlining step-by-step diagrams and plans, as well as through streamlined dialogue. The concepts, proposals, and buildings that result are often unexpected, and occasionally even groundbreaking. “This ‘narrative design’ method allows many to contribute to a single project, whereas if it wasn’t verbalized in this way, then everybody would have to wait for the silent master to conjure some kind of divine intervention,” Ingels says. 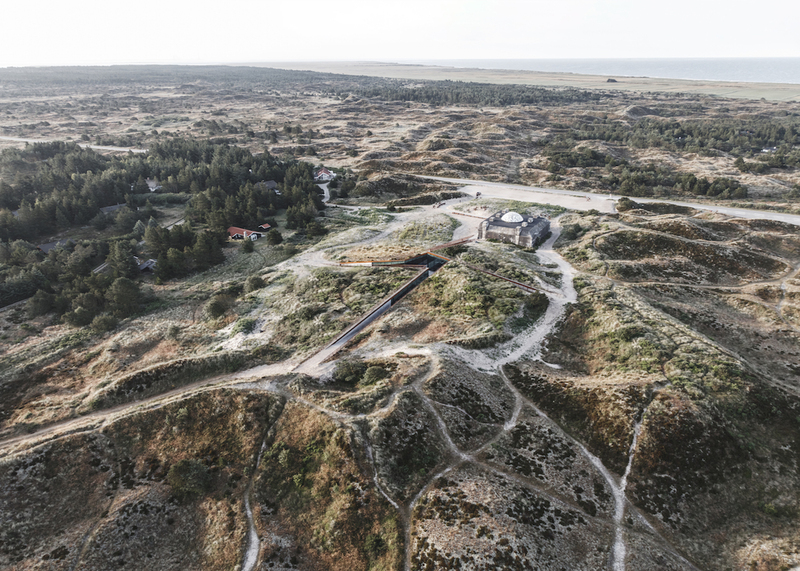 “By making [a design] explicit, and by elaborating and refining it, the DNA of the design actually ends up empowering every individual, and not only the architects, but the clients, the consultants, the engineers, and the city planners, because everybody has access to the source code.” Without this approach, says BIG partner Finn Nørkjær, 54, who works in the Copenhagen studio, “you’d have to be inside the head of the leader,” and thus BIG’s scaling up would have been impossible. In 1993, largely because there wasn’t a cartoon school in Denmark, Ingels began a six-year architecture program at the Royal Danish Academy of Fine Arts. In his fourth year of studies, he left Copenhagen for Barcelona, where he attended the Escola Tècnica Superior d’Arquitectura. While a largely positive experience, Ingels’s time in Spain also presented moments of great frustration. Studying under the architect Enric Miralles, who was heavy on theory but not so much on practicality, “drove me nuts,” he says. A refuge for Ingels became the Spanish architecture magazine El Croquis, which he scoured. “I would get the books they were referring to, and study the architects they were referring to,” he says. “In a way, the footnotes of El Croquis became my curriculum.” The research was a bit like a game of connecting the dots: Ben van Berkel, who had worked for Santiago Calatrava and Zaha Hadid, led Ingels to Calatrava and Catalan architecture; Hadid led him to Koolhaas; from there, he discovered interviews between Koolhaas and Alejandro Zaera-Polo, which led him to tectonics and the work of Alvar Aalto and Jørn Utzon. In particular, the progressive designs of Koolhaas, a journalist turned architect, and his Rotterdam-based firm, the Office of Metropolitan Architecture (OMA), resonated with Ingels. He felt he absolutely had to work there. So, in early January of 1998, he went on “a pilgrimage over Christmas break” and confidently strolled into OMA’s office without a scheduled appointment. Remembering the credits of an OMA project in El Croquis, he asked for one of the listed architects, Gary Bates. (Bates in now a partner of the Oslo-based firm Spacegroup.) “In comes in this tall black man who’s quite young—he was younger than I am now—and at least a head and a half taller than me,” Ingels says. “He was like a demigod, and he was really annoyed. He was saying, ‘I’m sorry, I don’t recall ever having spoken with you.’” After some smooth-talking and a quick review of his portfolio, though, Ingels says he left OMA’s office that day with a six-month internship, which he started just a few weeks later. “It’s the only job I ever applied for,” he says. In 2001, Ingels went back again to Copenhagen, this time with an OMA colleague, Julien De Smedt, and together they established the firm PLOT—a name, Ingels says, that was intentionally rooted in the theme of cinema. Early in PLOT’s formation, Ingels and De Smedt met a local developer, Per Høpfner, who was acquiring property for development in Ørestad. It was a chance connection that gave them the necessary client—and leeway—to not only actually construct something in real life, but also to experiment and grow their reputation as architects doing outside-the-box, narrative-driven designs that engage the public. Soon, PLOT got to working on its first Høpfner commission, the VM Houses, a pair of sleek glass-and-steel residential buildings that were completed in 2004; the V building, with its pointy, iceberg-like balconies, was particularly eye-catching. Regardless, the media machine around BIG and Ingels continues apace. One of the most recent standouts is Kaspar Astrup Schröder’s documentary film on Ingels, Big Time, which made its U.S. debut in late 2017 to mixed reviews. (The screening took place at a theater inside VIA, with many top architects, artists, and designers in the room.) Though it was nearly seven years in the making, the film doesn’t manage to capture the richness of BIG’s work or the true complexity of Ingels, painting him instead as a hardworking party-boy globetrotter who throws office raves. Throughout, BIG’s cutting-edge architecture and swift growth appears to be a far second to Ingels’s alluring, affable personality. (The film also has notable overlap with an exaggerated episode on Ingels from Netflix’s Abstract series, also released last year, that likens BIG’s buildings to the mind-bending world of the sci-fi thriller Inception.) I asked a few architects and designers who saw the film if they would speak to me on the record about it. They all declined. 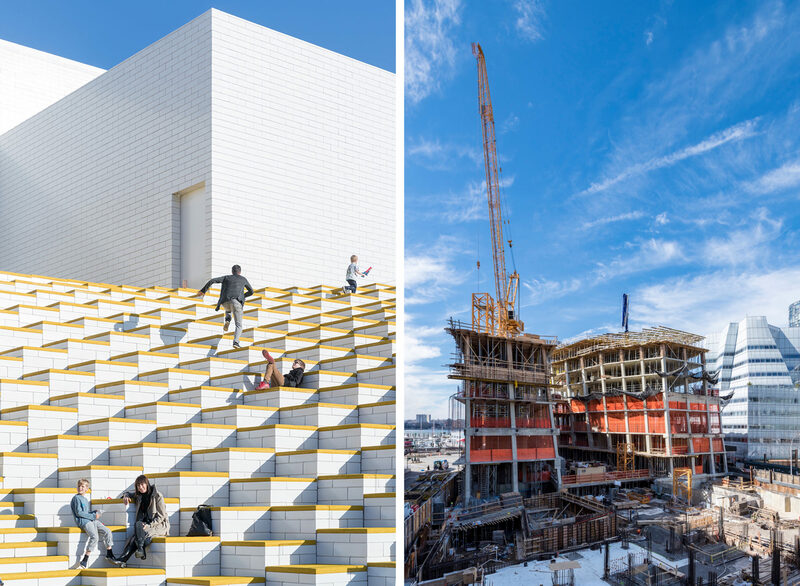 Much as Ingels built his name in Copenhagen a decade ago, he’s now become one of the most prominent architects in New York City. While his firm is at work on commissions around the world—such as an under-construction museum and hotel for the watchmaker Audemars Piguet in Le Brassus, Switzerland, and a bottling factory for San Pellegrino in Bergamo, Italy, which breaks ground this fall—BIG is putting a significant focus on New York, where its U.S. office has a staff of 230 and several major projects underway, including a tough-looking station for the NYPD’s 40th Precinct in the Bronx, a curvy residential building called the Smile in Harlem, two twisting towers for HFZ Capital Group in Chelsea, and a provocative skyscraper for Tishman Speyer at Hudson Yards. There’s also the proposal for Two World Trade Center, which has long been in the works but is still waiting for its developer, Larry Silverstein, to land an anchor tenant (in 2016, 21st Century Fox and News Corp. pulled out of plans to occupy the building; Ingels is confident another company will come along soon). The firm is also working with the shared-workspace company WeWork, designing the company’s first elementary school, to be located at its Manhattan headquarters. When we land on the subject, Ingels gets noticeably excited. “In a way,” he says, “WeWork is almost like an accelerator. It can be a scaling device for great ideas, for great companies. It’s a physical amplifier of great human content.” (BIG is purportedly working with the company on several other projects, but neither Ingels nor WeWork were able to elaborate at press time.) In WeWork, he has found an ideal client: an entity with big ambitions, big ideas, big properties, and a big cash pile. “I think they’re just realizing that what they’re doing,” he says. This idea gets me thinking about Google’s founders, Larry Page and Sergey Brin, and how they built one of the world’s largest, fastest-growing technology companies with this ethos in mind. To find architectural solutions for accommodating its gargantuan scale and staff, Google has found a fit in BIG (and Heatherwick). I ask Ingels if he sees a parallel between Google and WeWork. He answers immediately. “Google’s purpose is this idea of organizing the world’s information,” he says. “WeWork’s is organizing the world’s space. If Google’s going to take care of all the information—all the virtual stuff—WeWork will enable all the virtual stuff to actually be accommodated in the physical world.” And there Ingels will be, the maestro in the middle, conducting his world-dominating architectural orchestra, and sharing snapshots of the experience on his Instagram for all of us to see.